Planning a tour in Italy? Why not try something really atypical and adventurous? Renting a car at Rome’s Fiumicino Airport and taking the two-hour journey along the A1 to Tuscany might just be one of the most exhilarating and memorable experiences of your life! Tuscany’s ancient, winding roads guide you through a region whose rich heritage has made a profound contribution to the overall fabric of European culture. 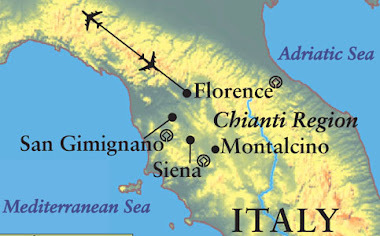 This is home to the statue of David, Chianti, the Leaning Tower of Pisa, Carrara marble and the city of Florence. Its intellectual Renaissance movement inspired artists, poets and inventors. 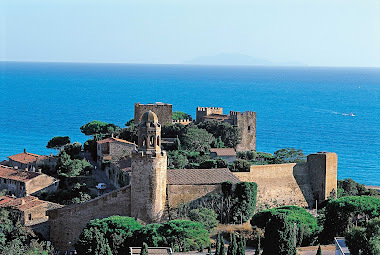 It is the birthplace of trailblazers such as Michelangelo, Da Vinci, Puccini, Alighieri and Galileo. Each road travelled will lead you to majestic hilltop towns, stately cities, fields of golden wheat and Sangiovese vines, opulent palaces, churches and rustic farm houses. Experience la dolce vita - the Italian art form of appreciating the sweetness, stillness and simplicity of life. Entertaining cultural festivals, savoury cuisine and aromatic wines are everywhere. Just leave the annoying GPS at home. The computer-generated voice will take away from the enlightening experience. With a good map in hand, Tuscan roads are quite easy to follow. Less wearisome than organized tours, where being herded like cattle on and off buses can be restricting and tiring, this type of holiday will allow for more freedom as well as maximum exposure to the local culture. However, before you grab your passport and pack your bags, it’s a good idea to get some information from your travel agent. Any tour endorsed by an agency can serve as a template for your road trip. Don’t Google-plan your holiday since you can’t trust everything you read on-line. The amount you spend on your vacation will depend entirely on your needs and tastes. The Fiat 500, which is feasible for most, is also very economical on gas. Don’t be fooled by its small size. You can quite easily fit two large suitcases and a couple of carry-ons in the trunk. SUVs are available for families - just be careful on those narrow village roads! There are no highway tolls while driving within the region. The toll fee is only implemented on the main autostradas. Although English is commonly spoken throughout Tuscany, it’s a good idea to bring along an Italian-English dictionary. Forget translating on your smart phone - the internet is not always accessible. It’s also a good idea to book your hotel in advance. Hotels within the some cities range from the luxurious Ritz to the mid-range Holiday Inn to economical motels. If you plan to stay in a small town or village in the countryside there are an abundance of charming pensiones. Sprinkled about the Tuscan landscape are beautiful, rustic farm houses which have been converted into agriturismi (similar to a ranch which offers outdoor recreation to paying guests). The cost of dining out in Tuscany can be outrageous. It’s a good idea to have breakfast at your hotel, which is usually included in your accommodations. 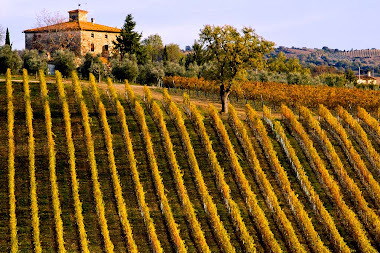 Tuscany is wine country so you can purchase a great bottle of inexpensive wine on your drive and enjoy it with cheese and bread purchased at a mercato. Just like the wineries, markets are also found just about everywhere. Believe it or not, wine is cheaper than bottled water or soft drinks. However, a word of caution – no drinking and driving! 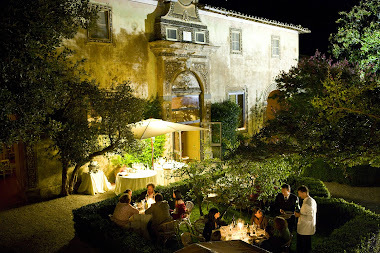 Finally at the end of the day you can splurge at a fine restaurant and dine al fresco. 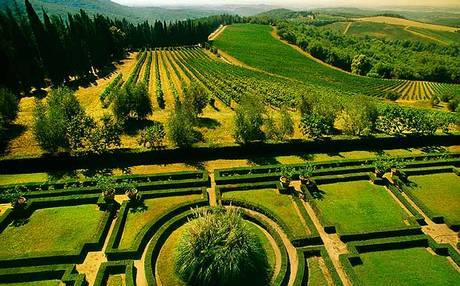 The distances between must-see cities, towns and villages within Tuscany are very short. But if you’re going to do this then research and planning is in order. You want to make the most of your time spent in this beautiful region. However, don’t be surprised if you deviate often from your agenda. Captivating little villages and tantalizing wineries tend to pop out of nowhere! Once an ancient Italic and Etruscan settlement, this major Italian city has sealed its reputation as the global centre of the arts. Museums, art galleries and cathedrals are on every corner. 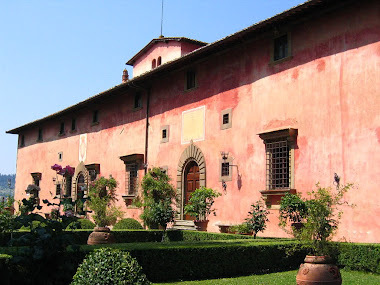 Some of the most popular palaces are the Palazzo degli Uffizzi, Pitti Palace and the Palazzo Vecchio. The Gallery of the Academy houses the Michelangelo’s legendary David. Don’t miss the Baptistry, Cathedral and Giotto’s Bell Tower in the Piazza del Duomo. Two other magnificent piazzas, or squares, to visit are the Piazza della Signoria and Piazza della Republica. 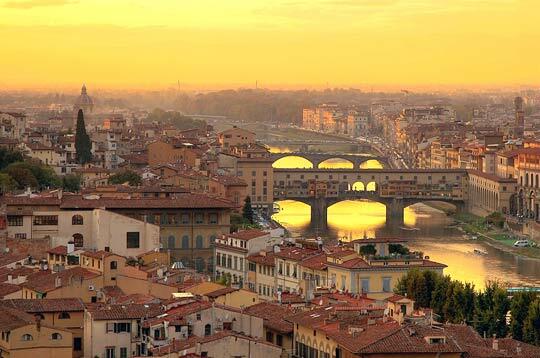 Popular tourist sites also include the flowing Arno River and its famed Ponte Vecchio. Are you a wine connoisseur? If so, you’ll be pleased to know that in between Florence and Siena lies one of the most famous wine regions in the world. 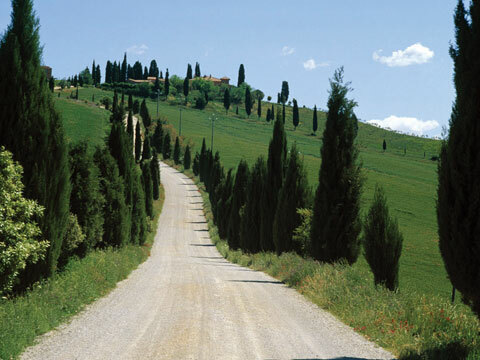 These rolling hills and its graveled paths trimmed with Cyprus trees will surely lead you to a romantic vineyard and a delicious glass of Chianti Classico, Tuscany’s iconic wine. 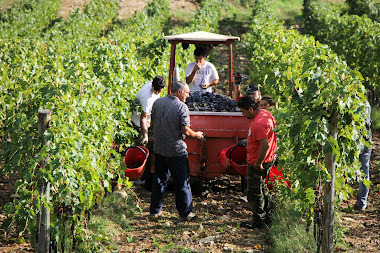 Its most noted villages are Greve in Chianti, Gaiole in Chainti, Radda in Chianti and Castellina. Local vintages are always available for sampling and purchasing within the reception area of most wineries. Many of these establishments also have adjacent restaurants. 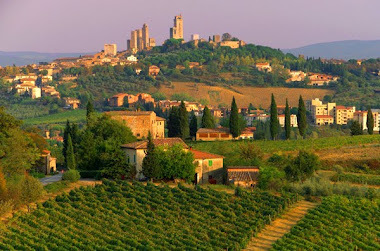 From afar San Gimignano looks like a mirage of King Arthur’s fabled Camelot. As you approach the hilltop citadel you’ll find that its beauty provokes a sense of surrealism. Known as the “city of beautiful towers”, its medieval turrets overlook cobbled streets that are lined with shops selling local products such as Majolica pottery and sweet Vinsanto dessert wine. This noble city was once populated by some of Europe’s most powerful merchant bourgeoisie. 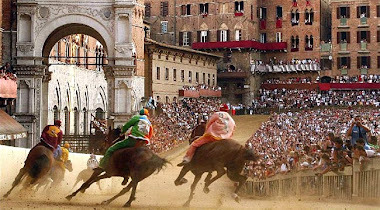 Its famous Palio, a ninety-second horserace in existence since the 1200’s, takes centre stage every July and August. It’s during this period that the city’s medieval spirit awakens and its seventeen districts, or contradas, rival for victory within the famous Piazza del Campo. 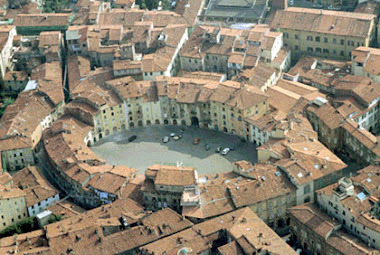 The Romanesque city of Lucca is one of few fully enclosed, walled cities remaining in Europe. 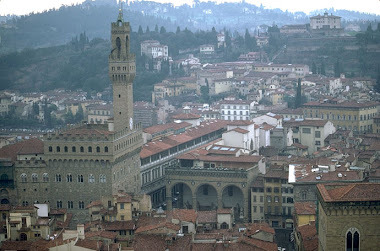 It is difficult to imagine that this small town was once a city-state of its own and that during the Renaissance period it rivaled Florence, Sienna and far away Venice. Some of its characteristic landmarks include a preexisting ancient Roman arena, which over the centuries transformed into a rotund piazza, as well as the home of composer, Giacomo Puccini.